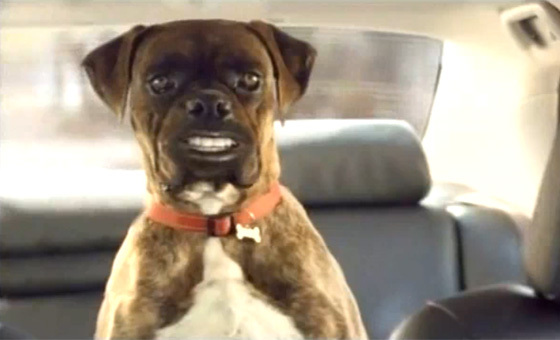 Dzzzz this clip should get you laughing if you liked the other Buddy the Boxer Dog adverts. Buddy gets a new friend and they are arguing over the new Auris X. I came across this video from @MichClarke and @bangersandnash on twitter and it is certainly a favorite - Thanks and nice one for making me laugh! It is really inspiring to see clever and entertaining ideas being used by marketers in this world of almost endless products and services. Toyota brought in Buddy the Boxer last year with the corolla and he has become liked and generally known as a brand associated pet on TV. So much so, you can follow @buddytheboxer on twitter. According to Totally Mad, "two of the commercials in which he featured made the Millward Brown Adtrack™ Top 10 Most Liked list for 2009." This advert is April the 23rd 2010, new!